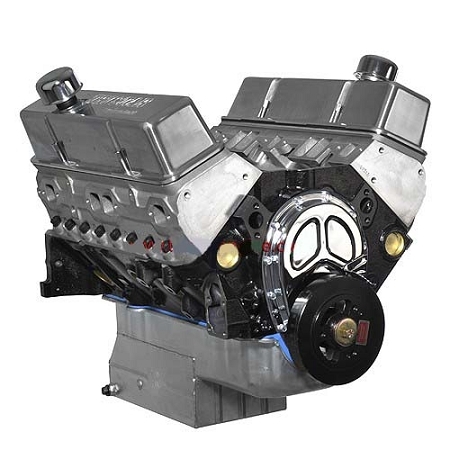 Dart's 400 cubic inch Chevy long block packages have been carefully designed, rigorously tested, and are assembled by Dart's high performance racing team. These engines are built on Dart's powerful SHP block for excellent reliability. Callies Compstar Forged 4340 steel crankshaft. Callies Compstar Forged 4340 H-beam rods with 7/16" cap screws. Coated cam bearings for added durability. S/S Severe Duty Valves (Optional Inconel). Pump Gas Friendly with final Compression in the 10:00-10:50 to 1:00 Range.